Limited Group Size: Sign up soon! This is a free program geared toward youths aged 12-18. Individual adults, families, and youth/student groups (up to 7 youths per chaperone) are welcome. 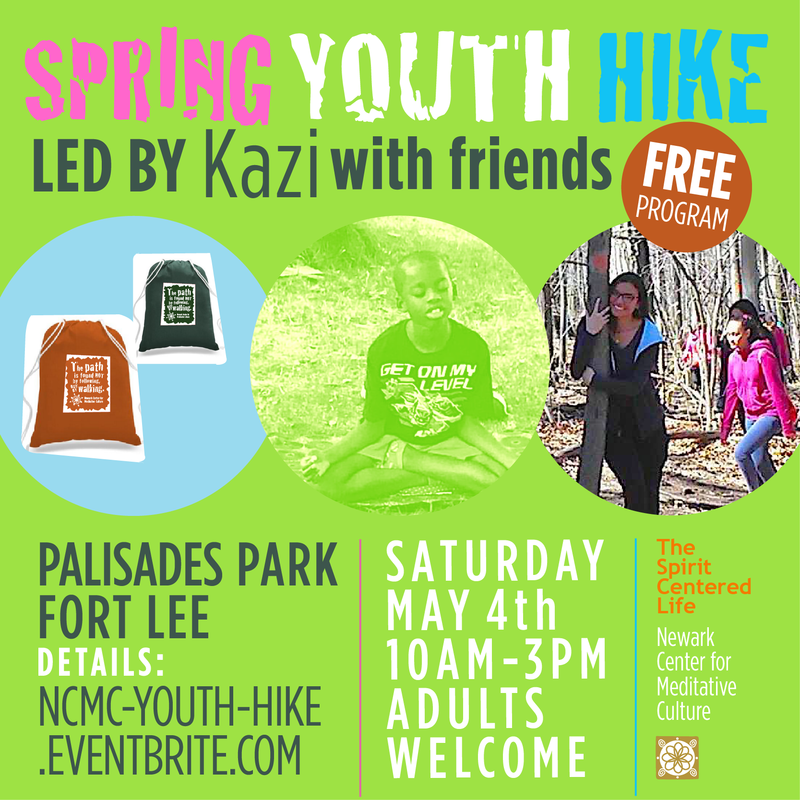 Join us for a day of nature immersion, hiking, tai-chi and art sessions, Hudson River Views, and more! Includes free vegetarian bag lunch for all and free backsacks for youths (limited quantity)! Transportation and parking fees not provided. We might be able to help with transportation for individuals from Newark and back. For questions contact Marcie at info@newarkmeditation.org. A free community service program of Newark Center for Meditative Culture in conjunction with The Spirit Centered Life. This entry was posted in Ecological Consciousness, Natural Wonder Programs, Urban Nature Hike, Walking Meditation and tagged #newarknj, awakeinnature, bodyspiritmind, findyourpath, fortleenj, hiking, hudsonriverviews, immersion, intothewoods, mindfulness, mindfulnessinnature, naturalwonders, pleinairart, taichi, youthhike. Bookmark the permalink.